Contacted HTC and they issued a pre-paid label to return it, offered a free replacement which came quickly BUT I'm concerned that this one will crack too. 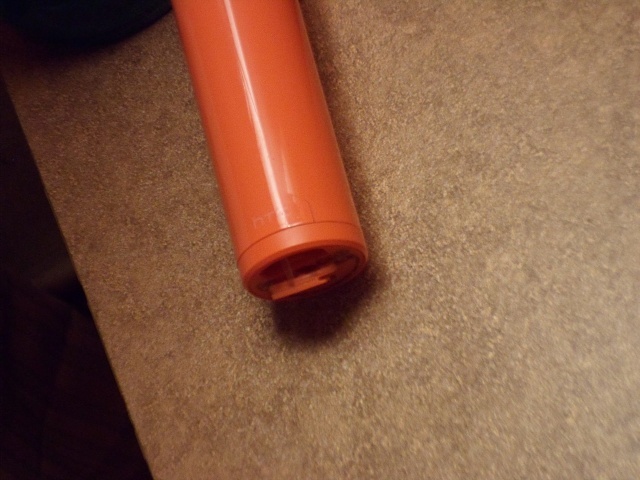 Anyone try taping around the lower end of the cylinder or some other type of pre-cracking protection? I wish they would beef up this camera, perhaps add a metal band like the one around the lens? I'm on my 2nd one, bough the orange one, loved it so much and bough a white one back in June when it was on sale again. I am on my 3rd HTC RE Camera that has had the same issues of the case along the bottom start cracking. The first 2 of them started cracking within a week, this 3rd one has made it about 3 months with very little use. I think an egg is less fragile. Don't both with the HTC support chat, try calling 1-866-449-8358. I meant: Don't bother with the HTC support chat, try calling 1-866-449-8358. Old thread, but having the same issue. This is my 2nd RE Camera (my son broke the 1st one) and, as much as I like it, will be my last. I purchased the 2nd on Amazon from a 3rd party seller in February, 2017. It was already showing cracks in April. I did a chat with HTC and submitted pics, proof of purchase, and then heard nothing. I emailed, again nothing. I called today and was told that my claim was rejected because I purchased from an unauthorized seller. Of course they didn't think to let me know that my claim was rejected - had I not called today they probably would have just ignored it. I could press the issue with the seller via AMEX and Amazon but, honestly, it's not their fault and I don't want to cause them trouble. They sold me an unopened brand new camera for a fair price, as promised. I love their products but HTC has absolutely the worst customer service department. I had a similar experience attempting to get replacements for the $50 Dot View cases which, like clockwork, break within a month or two. Some of the reps are fine but their policies and procedures are a joke. Why isn't my HTC One X touchscreen responding? How do I re-install Android os in Samsung Galaxy S3 gt-l9300?